There is something so special about a stone. They are unique treasures that kids love to collect, play with, and display. They are also inviting learning tools! 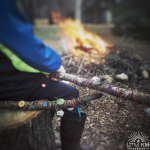 Here are four ways to use stones in the traditional, homeschool, or outdoor classroom setting. My four year old has been interested in alphabet letters and beginning sounds for some time now. I set up this learning invitation so my son can visit this center whenever he chooses. He loves searching for the beginning sound stones and gets so excited when he finds the correct one! Try this approach in your classroom to provide a fun and hands-on way to learn beginning sounds and alphabet letter names. 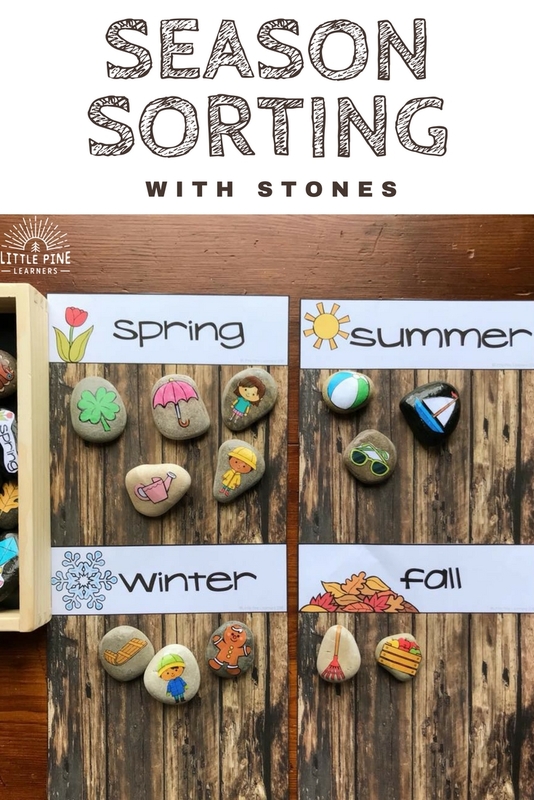 This stone activity focuses on the skill of sorting. Sorting is important because it’s a precursor skill for learning math. Sorting begins during infancy and develops into a more complex process as a child grows. 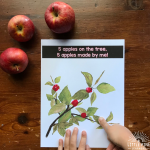 This activity also opens up the opportunity to learn new vocabulary and discuss the seasonal differences in the natural world. Once my son has sorted these seasonal stones on the appropriate mat, I ask him to describe his rational to encourage him to think about other characteristics to sort by. 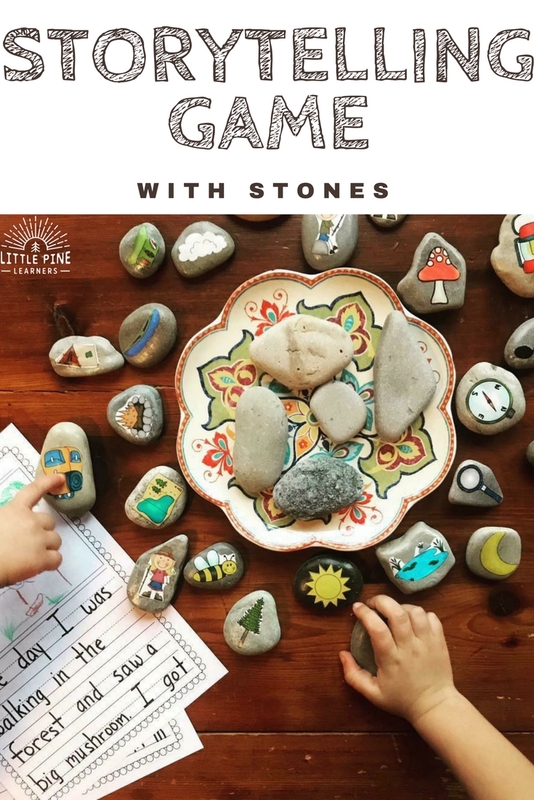 Story stones are a prompt used to create and inspire stories. They provide endless possibilities for storytelling and writing. Storytelling is an important skill that encourages creativity, helps sharpen memory, and improves communication and listening skills in young children. 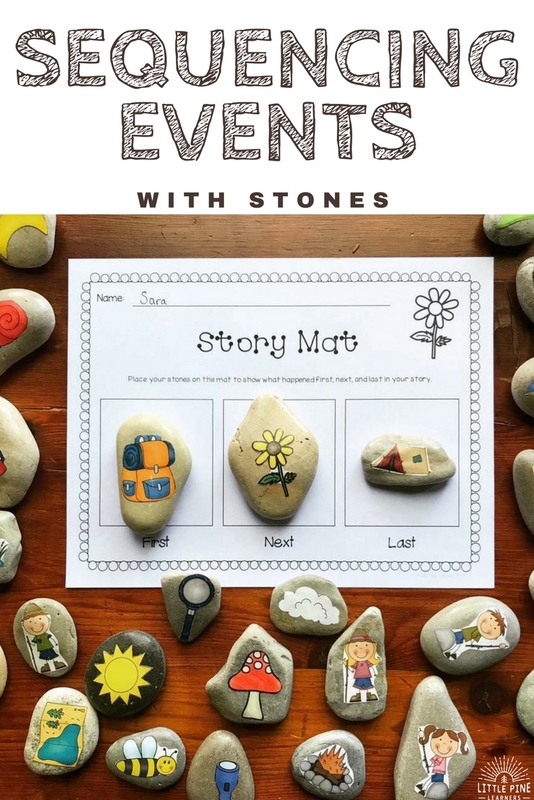 This story stone activity focuses on the skill of sequencing events. This is the ability to retell events in the order in which they occurred. We use this sequencing mat to retell the events of our nature walks or made up stories my boys create on their own. This sheet is laminated for long term use and left out near our story stones. Learning should be hands-on and fun! Game-based learning gives children the chance to develop cognitive, social, and physical skills simultaneously. The knowledge and skills gained through gamed-based learning is retained longer than material from other learning approaches. 1. Place all stones picture side down on a plate. 2. Turn over one stone at a time and use the picture for inspiration to add a sentence to the story. 3. The story is over when all pictures are facing up. I often get asked how I make my stones because they are so beautiful! It is so much easier than you might think. Just follow these simple steps. 1. Cut out the pictures you need. 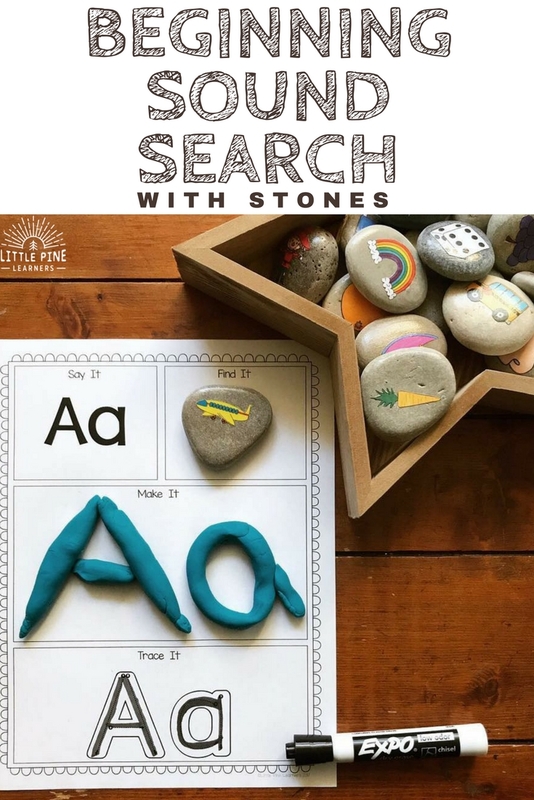 I use the images from these products: Say It, Find It, Make It, Write It, Seasons Activities, and Story Stones. 3. Place a picture on the stone with Mod Podge. 4. Seal the picture and stone with Mod Podge. 5. Repeat the process and let the stones dry for at least 15 minutes. 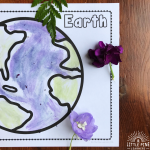 I hope your little nature lovers enjoy these activities as much as we do! 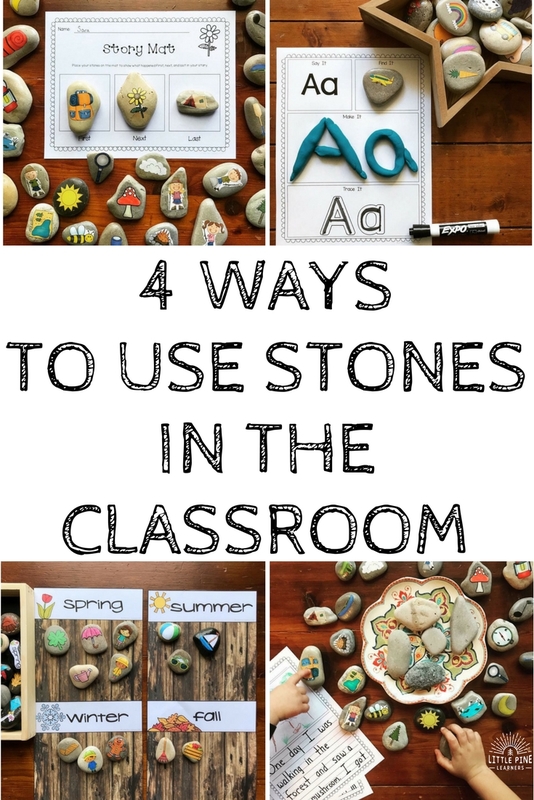 How do you use stones in the classroom? Please share in a comment below!